Take Flight Aviation Limited is based at Wellesbourne Airfield in Warwickshire, close to the towns of Warwick and Stratford upon Avon. In 2016 we opened our second base at London Oxford airport. We offer a private members flying club with unrivalled facilities compared with traditional flying schools. 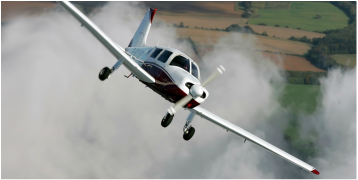 Our members with a pilots licence enjoy aircraft hire without the restrictions that many clubs and schools dictate. We also offer customer focused Private Pilots Licence (PPL) training, flight experience vouchers and unique customised corporate days. A recent employment survey revealed that almost 50% of participants were unhappy and unsatisfied in their jobs. Taking part in adventurous activities out of the work place, empowers employees. Having fun together can strengthen relationships with both management and fellow employees. We can offer corporate days for 4 to 40 people with traditional starter flying lessons, aerobatic experience flights or tailor-made packages. We can also co-ordinate additional activities with other partners, organise buffet style food for breakfast and lunch or recommend some exceptional local restaurants. Working with big name manufacturers like Triumph Motorcycles and major business organisations, we offer delegates from around the world a unique package and with prices starting at just £139 per person there's everything to gain! We have partner schemes in place with major employers like Jaguar Land Rover, offering non-vocational personal development and incentive packages, providing employees flight training vouchers. From a one off flying lesson to a private pilots licence, we can help keep your staff incentivised, motivated and working for you!